+ Is BUTTONNOSES TM a "qualified" pet service provider? 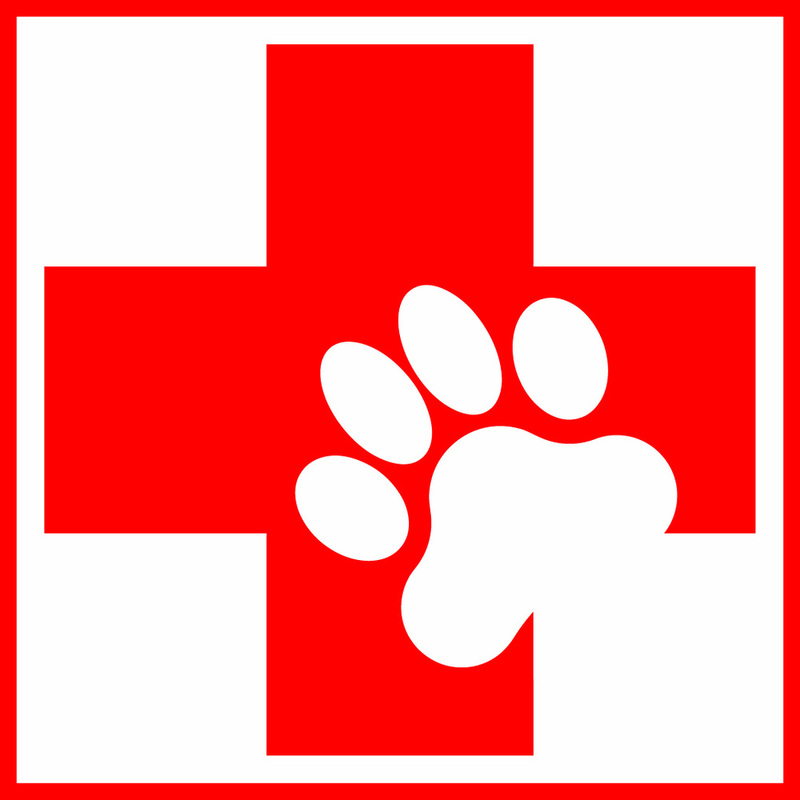 We strongly believe that the service provider you trust your precious pooch with should be experienced and knowledgable, pet first aid certified, insured and bonded, can provide client references and uses a solid service agreement or contract. Being a member of a professional and educational association (like PSI) would also be a bonus. BUTTONNOSESTM is all of the above and more. Rest assured that your doggie is in highly qualified and capable hands. 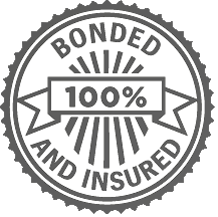 + What does it mean that you are insured and bonded? We carry a liability insurance policy that protects us from financial loss in the event that we were liable for accidents that occur while caring for our pack members. Any responsible and professional business should carry liability insurance. Our dishonesty bond gives you peace of mind that you will be reimbursed if anything goes missing while BUTTONNOSESTM is on site. Anyone that has workers enter their home should be sure that they have a dishonesty bond. Please note - "Job Sharing" is not covered by our insurance. If you allow any other person(s) access to your home, pet or property during the "relevant contract period" (while we are contracted to be on your premises), BUTTONNOSESTM will not be held liable for any theft/loss, damages to property, or injury/loss/death of pets as a result of BUTTONNOSESTM not having sole access to your home during our contracted service time. + What makes BUTTONNOSES TM even more special? By simply using our services, you automatically contribute to BUTTONNOSES TM SAVE A LIFE PROGRAM (SALP) and help us save the lives of senior and special needs tiny dogs in need of a helping hand. A minimum of 10% (sometimes more) of our revenue , and 100% of the donations received from generous gold-hearted individuals like you, go directly towards SALP. We offer a variety of services to meet your tiny pooch's every need. We offer daycare, boarding, middday potty breaks and pet taxi for teeny tiny doggies in small packs, in a home environment. Your pooch becomes a part of our family and will be treated like one of our own. 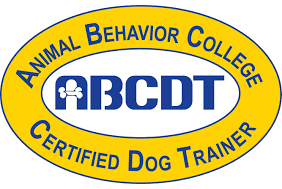 We also provide courses, workshops and educational events offered either online or in small group settings of tiny dogs to ensure the safety and focus of your furry. + How does my tiny dog get started and join the pack? If you would like to join our tiny pack for daycare and boarding, all you have to do is to contact us and schedule a meet and greet and your first FREE half-day Cuddle Care TM. This will give us all a chance to get to know each other and make sure our pack is the right fit for your precious furbaby. Our pack of tiny dogs is very friendly and welcoming, and we have no doubt that your dog will love spending his or her days with us. We also need to have a meet and greet at your place if you would like to be set up for Potty Pause TM (our fun and amazing midday potty visits). If you are intersted in our courses, workshops and educational events,either online or on-location, check out our LEARN page for an up to date list and enrolment instrucions. Please note - We can only welcome your dog into our pack if he/she is able to get along with humans and other animals. This is for your dog's own safety and that of the other tiny and fragile pack members in our care. We appreciate your understanding. + What happens during the initial meet & greet? The meet and greetis an opportunity for us to introduce ourselves properly, spend some quality time with your dog, confirm and review pertinent information and requested documentation about your dog and his routine (e.g vet info, emergency contact, special requests, diet and medication, endearing quirks, etc. ), and answer any additional questions you may have. Please note - We do NOT provide daycare, boarding or potty visits until this meeting has taken place and appropriate documentation has been signed and exchanged. This is for your own protection, and the safety of your dog and all the other pack members in our care. + What if a dog becomes ill while in your care? If we feel that something is wrong with your dog, we will make every effort to contact you or the alternate emergency info that you have provided us. If you believe that the dog should be seen by a vet, we will transport him to a vet's office for examination and treatment. In the event that we cannot reach you, we will decide if a veterinarian should see the dog. You will be responsible for any vet bills that may occur while your dog is with us. + What is your aggressive or unvaccinated dog policy? For the safety of your dog and that of the humans and other pack members in our care,we reserve the right to refuse any services if your dog is not vaccinated or shows signs of aggression. + Does my dog need to be registered and licensed in the jurisdiction he lives in? It is entirely up to you whether you license your dog in your municipality. However, if we get checked by the authorities while your dog is in our care (this sometimes happens in parks), you will be responsible for the payment of any fines that we may receive as a result of your unlicensed dog. + What are your daycare hours? Our full-day Cuddle Care TM is 8am-7pm. We also offer half-day for up to 4 hours within those times. We usually do our Button Buggy TM pick-up and drop-off rounds between 7am-8am and 7pm-8pm. However, depending on what the day looks like, we can always adjust those times to suit your needs. Just let us know what works for you at the time of booking and we will try our best to accomodate. We are open and available for hugs and cuddles seven days a week. Our doors are always open to our amazing pack. + How do you discipline dogs in your care? At BUTTONNOSES TM we believe in positive reinforecement ONLY. We will never hit, spank, yank the leash, yell, shock, grab, or do anything harsh to harm your dog's fragile and precious well being, either physically or emotionally. If we notice any behavioural issues, we inform the parents and together we work out a solution. + Will you watch my dog(s) in my own home? Although house sitting (daytime or overnight) is not something we offer on a regular basis, give us a shout and we will try our best to work something out and accomodate your request. + Do you offer cat visits too? We adore our purrrry friends and would never leave them behind, because they have cute BUTTONNOSES too. Ask us about our Kitty Kompanion TM service. We would be happy to hold down the kitty fort while you are away. + Do you need to keep my keys? If you use our Button Buggy TM, Potty Pause TM or Kitty Kompanion TMservices on a regular basis, we would recommend that you leave a set of keys with us for convenience. Your keys are safely and securely held for future visits. + What makes you qualified to teach training classes? All classes are taught by Nasim Mansour, the founder of BUTTONNOSES TM and a Certified Dog Trainer from Animal Behaviour College. She has years of experience working with little dogs, and a passion for training them in a gentle and positive way. We offer a wide variety of fun, affordable and customizable services for your pint-sized pooch. Take a look at our services and fees and see for yourself. For our educatonal events and classes, check out our LEARN page often to see our updated schedule and fees. + Do you have any discounts or specials? New doggy clients : Enjoy a free half-day Cuddle Care TM following your initial meet & greet. ReFUR-a-BUTTONNOSE : They get a free half-day Cuddle Care TM and you get a $10 credit towards your next service, whatever it may be. How amazing is that! Long vacays : The longer your stay with us at Hugs Hotel TM, the more you save. Check out our fees for this fun and loving service. Adopt-a-BUTTONNOSES : We keep our adopted BUTTONNOSES from our Save a Life Program in our community and would like them to come back and use our services. All our adopted BUTTONNOSES get a $10 discount on their first booked service with us. + How do I book a service? You can get in touch with us any which way you like to book your next service. If it's your first time, please make sure you book a meet and greet to get started. + Do you accept last minute bookings? We would be more than happy to accomodate last minute bookings (provided your dog has already gone through the initial meet and greet and is set to go), however we cannot guarantee space availability on short notice. Our packs are very small to ensure safety and maximum care and attention. + What is your cancellation policy for daycare & boarding? Poop happens, and we are ok with it! Please review our Cancellation Policy, and let us know if you have any questions. We accept cash, credit card, PayPal and e-transfers. Payments are due upon receipt of invoice, and MUST be received on or prior to the day of your first scheduled service on that invoice. + Do you charge extra for services rendered on a holiday? Unlike most other pet service providers, there is no NO additional fee for holiday bookings. How amazing is that! + Do you charge extra for medication administration? Absolutely not. Medication administration, oral or injection, is complimentary while your dog is in our care. + What is SALP all about? SALP is our way of giving back to the tiny dog community. We extend a helping hand to those little ones that are at risk of losing their homes or their lives, take them into our loving and nurturing foster homes provided by our compassionate and dedicated volunteers, provide funding for their care and medical needs, and find a loving forever home for them. Under certain circumstances, some foster dogs are better off staying with SALP for the remainder of their living days, to ensure their continued and uninterrupted care. + How can I contribute to SALP? Simply by using our services, taking our classes and workshops, and participating in our fun and educational events, you end up supporting SALP. A minimum of 10% of our revenue always goes directly towards SALP. + Can I make a bigger and more significant contribution? Absolutely. You can always make a monetary donation, 100% of which will go to SALP. + How else can I help SALP? You can volunteer for SALP. We are always in need of your help in different capacities. Check our Volunteer Page often for volunteering opportunities and announcements. These opportunities are announced based on what SALP needs at the time. If you join our mailing list, you will stay in the loop and be the first to hear about the exciting ways you can get involved as a volunteer. + Where are the SALP dogs kept? All the dogs in our SALP are kept in loving foster homes, who will care for them like one of their own, while they are getting ready for their forever homes. Our amazing foster parents do not get paid. They open their hearts and their homes purely based on compassion and love for little furry friends in need. + Are SALP dogs vetted before adoption? Many of the dogs we bring into SALP are in need of medical attention, which may include dental work, ear / eye infection treatment, blood tests, surgeries, etc. Each dog is vetted according to their specific requirements and ALL dogs receive their basic vaccinations - Rabies, DHLPP-C and Bordetella - and are altered before going to their forever homes. Medical costs can often be excessive. We welcome donations to help cover the cost of vetting bills. + How can I surrender my dog to SALP? You can contact us and let us know about your situation. Often times we try to work with you and provide guidance and assistance, in an effort to keep the dog in his / her current loving home. If it becomes clear that the dog cannot stay in his current situation any longer, you will be asked to complete a surrender form. Please note that submitting a surrender form does not guarantee the acceptance of your dog into our foster program. We have to make sure we are able to help first. You will be contacted once we receive your surrender application and go from there. + What if I want to adopt one of the SALP dogs? Awesome! We appreciate your interest in adopting and offering a loving forever home to a rescue dog. 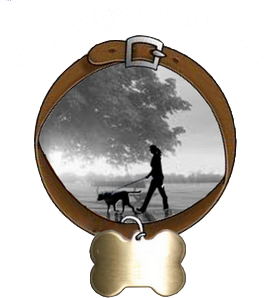 We post our available dogs on our SALP Page. If you see your potential doggy soulmate there, follow the instructions on the page. This will involve completing an application, providing references, and going through the application process. Please make sure you fill the application completely and thoroughly, as we do not process incomplete applications. + What happens after the adoption? At this point, you are officially part of the “BUTTONNOSES community of Tiny dogs with a BIG purpose”. We will not only follow up with you to make sure that you and your adopted pooch are adjusting well to your new life together, but we will always be here to help you with all your doggie needs. All you have to do is give us a shout if you need us. + What if things don’t work out after I bring the dog home? Please be aware that there will always be a transition period before everything falls into place. If you need any assistance or guidance through this, don’t forget that we are here for you. Just give us a shout. Despite everybody’s best efforts, we do understand that sometimes things just don’t work out. Please know that we are not only ready and willing to take the dog back, it is part of our Adoption Contract that the dog MUST be returned to SALP if the adopter cannot keep the dog any longer, at any point in the dog's life. If the dog is returned within the first two weeks, a refund of the adoption fee - minus a $100 admin fee - will be issued. We consider this a donation to SALP. Have more questions? Ready to book? Want to join the community?